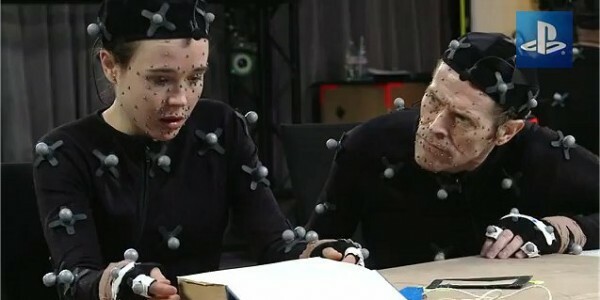 According to an article on Joystiq, Beyond: Two Souls animators have had to spend countless hours creating a huge AAA title that falls into the type of quality that we have come to expect from Quantic Dream. Quantic Dream’s own quantic dream of video game design has typically been to create believable worlds that will help to surpass the uncanny valley when immersing players into the video game experience. With their mo-cap technology and services being offered to movie studios and the like, it’s not hard to see why they would want to cross those boundaries they’d previously set for themselves in the creation of Heavy Rain. Indigo Prophecy, aka Fahrenheit (in Europe), would be the successor to the detective story in Heavy Rain, putting its players in the shoes of three different characters in a non-linear storyline. Their next project, Beyond: Two Souls, will be their most ambitious project to date, starring huge A-list actors in the first interactive experience of this size and scope. Ellen Page, Willem DaFoe, Kadeem Hardison, and Eric Winter will each have starring roles in the upcoming supernatural adventure that follows a young girl’s life into adulthood after abduction into a laboratory by a government agency. Look for this title to be released in just under a month on October 8, 2013!! !